2012 Olympic Gold-Medalist Alexander Volkov has decided to re-sign with Zenit St. Petersburg for his next club season in 2018-2019. Volkov originally joined the club in 2017. A 33-year-old (who turns 34 next February) middle blocker, Volkov stands at 6’11” with an 11’0″ block touch and 11’10” approach jump. 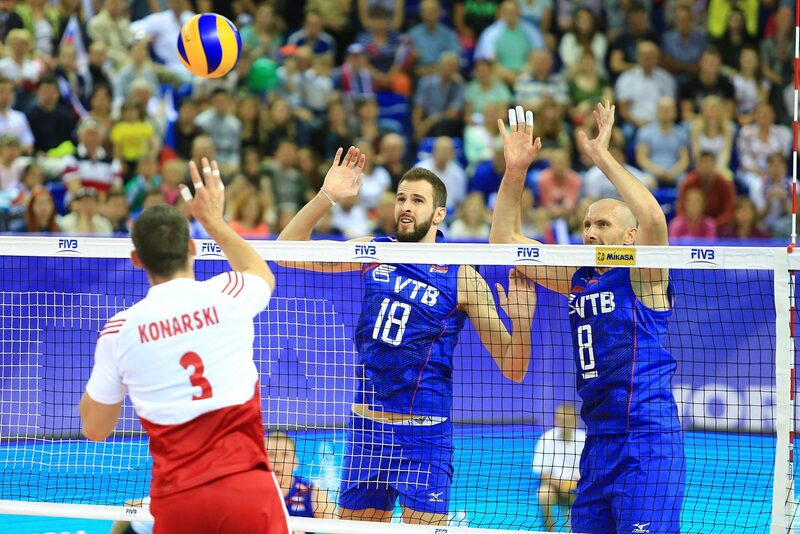 The Moscow native has been with the Russian National Team since 2004, collecting golds at the 2012 London Olympics, 2011 World Cup and 2011 World League. He also also helped the country earn seven other silver or bronze medals throughout tournaments in his time with Team Russia. At one of those events – the 2009 CEV European Championship – he earned the Best Spiker award. Currently (as of week three) he is not with the team for the 2018 FIVB Men’s Volleyball Nations League. Club wise, this keeps Volkov on his ninth different stop across his seventh team. That all started in 2002 with Dinamo Moscow, where he spent 2002-2004 along with the 2005-2010 and early 2017 seasons. Additionally, Volkov has played with Luch Moscow (2004-2005), Bre Banca Lannutti Cuneo (2010-2011), Zenit Kazan (2011-2015), Ural Ufa (2015-2016), Gazprom-Ugra Surgut (2016) in addition to Zenit St. Petersburg (2017-now). As part of club, Volkov has been with five different teams to earn top three finishes at the CEV Champions League, notably in 2007 with Dinamo Moscow when they won bronze and he earned the Best Blocker award. He also won gold twice at the event with Zenit Kazan in 2011-2012 and 2014-2015. VC Zenit St. Petersburg was actually just founded in the summer of 2017 more making a move later to acquire Volkov. In their inaugural season, they earned a fifth-place regular season ranking at 17-9 (50 points) before upending Volkov’s former club Dinamo Moscow in the semifinals to earn a second-place finish.